Thank you for choosing to stay connected with Green Training USA. We respect your privacy and will only contact you from time to time to let you know about special discount offers and new course offerings. You can unsubscribe at any time by clicking on the "unsubscribe" link on any email we send you. 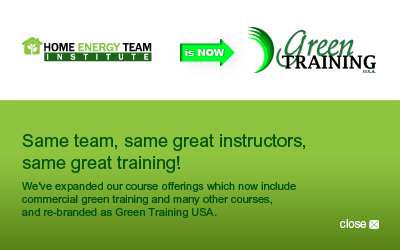 Thanks again for your interest in Green Training USA.